This is an opinionated piece around topics that have a shared surface area of controversy. The endless and unendable debate around science (often as a proxy for rationality or humanism) and religion seems to rankle almost all that consider the subject. The below may induce this rankle on both sides. It calls out math as not only the language of science but as it’s primary form. It also implicitly dismisses any high ground that some may give science and math, and makes them vulnerable to the same scales of beauty, wonder and emotion that religion fosters. On the other hand, it generalizes the word theologian to mean anyone interested in concepts of religion or evangelization. And it suggests (again, implicitly) that most people engaged in that practice - including pastors, peers, and priests - are, at best, struggling against the monumental size of the task and, at worst, are willfully ignorant and doing a substandard job of it, usually by acting as if it’s 1618, not 2018. The complexity and emotional baggage around questions of science and religion conspire to make the shadow of truth less apparent, and incredibly hard to articulate. Please empathize with me as you continue, and do your best to hang your bias in a cozy corner of the laboratory before moving on. There are also many links below that provide more detail or additional commentary on particular subjects. Please use them liberally, some of these concepts may take awhile to sink in. One of my high school teachers said “You have to learn calculus three times and teach it twice to really get it.” That can be generalized to an entire suite of beautiful, true, and unintuitive ideas. Think for a second about the most beautiful ideas you’ve ever run across. Beauty is not the usual characteristic you use to group ideas. I know I hadn’t done it before, until I ran across this delightful little blog entry. Take a quick breeze through that list. It’s an incredible - and beautiful - list of ideas, and a good number of them would be on my list too. The ones that aren’t on my list are my own fault; I haven’t delved into them as much as I should. But some of them - like the different types of infinity, and Decidability - when I learned them, they moved me on a fundamental and spiritual level. Which is a striking thing to say. Notions of decidability and infinity are mathematical. And yet the entire world and all it’s beauty is built on mathematical models. Our bodies and senses are so attuned to how the universe uses math, that we hardly ever think about it consciously. We simply enjoy the sunrise or we admire the swirling flight of a bird. Theology is the study of the divine, and to some extent, the concept of belief itself. There is no question that both beauty and wonder are fundamental aspects of the divine. They are perhaps the most important aspects. Belief systems propose divine subjects as outside of their world (and thus incomprehensible), and as explanations for what they cannot explain inside their world (to aid comprehension). Beauty and wonder are the natural outcomes of all this effort at comprehensibility. When dealing with the idea of something outside of their “world” or with using it to explain something inside their world, some religions or religious force their “world” to stay small and their explanations simple. In many forms of Shamanism, gods or spirit are leveraged as explanations for things like sickness. But the best religions and religious continually seek to understand more and more; they are seemingly on a continual collision course with truth. This also means making our “world” as big as possible. Wittgenstein started his most famous and complete philosophical work with the initial definition: “The world is everything that is the case.” We must consider everything. Still, the God of the Gaps is a fairly natural line of thinking, and it happens a lot. I think one of the reasons this argument ends up making an appearance so frequently is because it allows for beauty and wonder. It includes a feeling of mystery that points people towards God, and they wonder about the incomprehensible quality of the divine. And yet the process of learning and understanding the whole world is equally beautiful. It’s easy to forget this in our culture. Being smart, or a nerd, or a geek is far more fashionable today than it was when I was growing up. But there’s still a set of cultural limits that seems to exist on what subjects are cool. For instance, computers and the act of making things with them today is cool, but some of the math behind it is still not cool. I think we’re trending in the right direction at least. Anyway, here’s an example of the beauty of learning more about the world and filling in gaps. This is another idea that would be on my most-beautiful-ideas list: stellar nucleosynthesis. 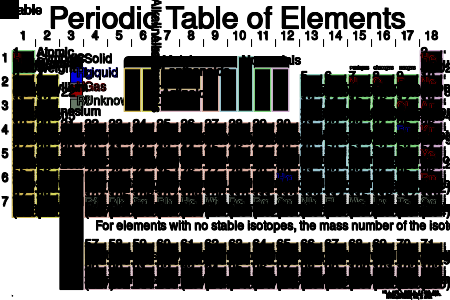 This scientific theory describes - amazingly - how all the elements in the universe came to be. The early universe had only Hydrogen and some Helium. The formation of most matter on the periodic table up to Iron (like Oxygen, Carbon, Aluminum, Silicon, etc) were formed by the process of nuclear fusion in stars. But to get heavier elements than Iron, you need even more energy than what’s in stars. Most of the matter in the universe that’s heavier than Iron was actually formed during supernova explosions. This includes things like Gold and Silver. That silver jewelry you have? Created during a supernova. Same with the Nickel and Copper and Zinc in all of the coins in your pocket. How wild is that?! How beautiful? How incredible? And perhaps even more incredible is that we can learn and prove all of this. One of the initial papers on this was published in the 50s and is known as the B2FH paper. They were able to use spectral analysis of stars to prove some of the details of these processes. Neil deGrasse Tyson gave this knowledge as his most astounding fact that we know about the universe. Science and math are some of the primary tools we have in understanding our world. They allow us to both understand more about our world and to grow the size of our world. Properly used, they allow for beauty and wonder and should be elements in the conversation of the divine. Improperly used, they become a wedge in the debate between religion and science. Yeah, math underpins everything. Seriously, everything. The scientific method is the primary process that allows us to understand our world. And in this sense, you could I guess consider math a type of science; certainly the lines are blurry. Science affects how you think in terms of process. Once you understand the scientific process, you can use it to tackle any subject.. and from there you have a crucible for the continual production of beauty and wonder. Math is slightly different. In addition to the process itself, some of the subjects and problems you study can have a profound impact on how you think and what you think about. To show this, I’m going to briefly walk through a few of my favorite examples. All of these, I think, are most definitely subjects that theologians should study mathematically. This first one is a mind bender. Infinity is a mathematical concept. Most people just think of infinity as “the biggest number”, something past millions and billions, and call it a day. (It’s worth looking at really big numbers some time, to see just what it means to be big. WaitButWhy has a fantastic series of posts that helps explain this and put big numbers in context. He talks first about numbers up to 1 million and then moves from 1 million up to Graham’s Number.) But even Graham’s number is nothing compared to infinity. They’re not even on the same scale because, as we’ll see, infinity is actually a concept, and a confusing one at that. Let’s start with what most people think of. Start counting the natural numbers from 1: 1, 2, 3, 4, ... You can go on forever. There is no end. There is always a bigger number. So the idea of infinite here is that there is no end. There is an infinite number of natural numbers. What the heck does that mean? Well, it means that these sets of numbers have the same size. Using the correct mathematical term, their cardinality is the same. Even though one set naturally includes the other set! So let’s consider another set of numbers - the real numbers. If you’ll recall, real numbers include all the natural numbers, all the fractions like 1/2 (.5), but also all sorts of other crazy things like π (pi) and the square root of 2. These numbers are interesting because they go on forever and never repeat. Pi starts as 3.14159265359...., keeps going forever and ever and has no pattern; a different kind of infinity. So, can you count the real numbers? The strict mathematical proof is a little longer this time, but think of it like this. Let’s say you try to count any of them. You could start with 0.1, 0.2, 0.3, 0.4, ... but then what do you do about the numbers you know are in between? So, go down another level: 0.30, 0.31, 0.32, 0.33, 0.34, ... Hmm.. still numbers in between. In fact, you can pick any two real numbers, and there is always another number in between. You can’t count them the same way. These sets are considered uncountable, meaning that there is no way that you can map them onto the natural numbers. There are actually more real numbers than there are natural numbers. And that means that we now have two types of infinity. Both of these concepts are infinite - there are always more - but one is actually bigger than the other. That is both profoundly mysterious and profoundly beautiful. It makes your mind bend. Take some time to look through the links in this and chew on it a bit. It’s worth it, but don’t feel bad if you feel like you don’t really “get it”. Georg Cantor was the guy who proved a lot of this in the 19th century, and he spent a decent amount of his life in a sanatorium! We tend to think of problems in only one way. That is, we define the problem, figure out how to solve it, and then come up with the solution. Math has codified that “figure out how to solve it” part into the algorithm. But there’s a sort of meta-problem about problems: is it possible for you to figure out how to solve it? In other words, is there actually a way to know for sure that a problem can be solved? In essence, that’s decidability. Math has been able to formalize this question across a wide breadth of fields and types of systems. Perhaps the most far reaching result in this area is Godel’s Incompleteness Theorem. Godel proved that all mathematical logic systems will have properties that can neither be proved nor disproved. If it sounds like this has no practical value whatsoever, consider one version related to computability called the Halting Problem. This version asks for a way to tell whether or not a computer program run over a given input will actually stop with an answer or whether it will run forever. Alan Turing and Alonso Church proved (independently) that this is impossible to answer for all programs. There is no rigor you can apply that is strong enough to guarantee this ability. The consequence to those of us who try to program computers is that we can never be sure of the outcome of the programs we write! Think about all the software in the world and the hubris of those who write it. Somewhere deep down, most programmers know they’re building glass castles. Showcase this result with a philosophical lens and you learn that there is no exacting, perfect science to programming; there is always an element of art. When Alan Turing was trying to solve the Halting Problem above, he invented a model of computation. He called it the a-machine; it has since been known as the Turing Machine. It is possible to invent a single machine which can be used to compute any computable sequence. If this machine U is supplied with the tape on the beginning of which is written the string of quintuples separated by semicolons of some computing machine M, then U will compute the same sequence as M.
This was and continues to be surprising, especially when you realize that all computers that are built use the Turing Machine as their model. They’re all Turing Machines and therefore can all do the exact same things. This property is called Turing-completeness. Aside from speed and size, it means there’s no difference between the phone in your hand and the biggest supercomputer on earth and the biggest computer you can imagine that’s ever been built. They’re all the same and can do the same work, some will just take a little longer. I’m combining several examples here because they all aggregate to the same field: the study of probability and it’s sister field, ramdonness. Let’s start with the random. Humans are horribly bad at random. If you ask someone to pick a random number from 1-20 (go ahead..), the likelihood that they’ll pick 17 or 7 is pretty good; quite a bit higher than 1 in 20. These numbers sound random because they’re odd and prime. We mistake randomness for uniformity as well, which Peter Norvig describes in a visual way. We’re not the only ones that are bad at understanding randomness. It turns out that it’s almost impossibly hard for machines to make random numbers. We know this because random numbers play a key role in lots of cryptography. There’s an entire suite of algorithms called PRNGs (Pseudo Random Number Generators). A subset of them are cryptographically secure, meaning they’re safe to use for cryptography. The reason codes are broken is often because someone found a way to make seemingly random numbers not so random. Monte Carlo methods use randomness in a different way. There’s a big set of math problems that are either very hard or impossible to solve exactly, but can be solved approximately. That’s what Monte Carlo methods do. They use random samples and perform the same experiment over and over again thousands or millions of times. The answer is then approximated based on how the answers come out, and the range of answers gives you the probability of the answer being right. You can use this to do everything from approximate the value of π to making stock portfolio predictions based on different inputs in the market to simulating physics experiments (the first formal Monte Carlo methods were used to simulate certain parts of a nuclear bomb explosion on ENIAC in the 1940s). Growing up in America, most of us had the normal litany of math classes: arithmetic, algebra, geometry, maybe trigonometry, maybe calculus. With this as our background, we’re all used to thinking of math as something very precise. There was only ever one right answer in class because that’s how math works. But most schools completely sidestep the hugely important fields of statistics and probability. Monte Carlo is a statistical method. It doesn’t deal in precise answers, it deals in probabilities and it uses randomness as a way to understand those probabilities. We can use this to reason about the future too. The future hasn’t happened yet, so we can consider the future as a set of branching probabilities. And the most pure way to figure out these probabilities is to throw random data at it and see what usually happens, and how frequently it happens. Of course, you might have heard the phrase “The best way to predict the future is to invent it” by Alan Kay. I quite agree. If we apply this to the idea of our probabilities, it means our inputs aren’t random, they’re particular. If we control the inputs of our sampling, or the information we know about our sampling, we can change the probability of a particular outcome, often in unintuitive ways. Should you stay with your first choice, or switch? The unintuitive answer is that if you switch doors, you have a 2/3 change of winning the car, but if you stay with your original choice you only have a 1/3 chance. Seems obvious now right? Your 1 in 1000 choice seems way less likely to be correct. Adding more information about the problem has changed the probable outcomes. Probability is weird. And how information changes probabilities is weird AND unintuitive. And here’s one more example that shows it. This one is from The Drunkard’s Walk, a fantastic read on math, randomness, and probability. Consider a family with two kids. What’s the probability that both kids are girls? Note that the middle two options are separate. It’s not enough to just say that one is a boy and one is a girl. Each kid is a separate option to consider, so either the older one is a girl and the younger is a boy OR the older is a boy and the younger is a girl. Now, let’s see how this changes if we know that at least one kid is a girl - what’re the odds that both are girls? So the odds that both kids are girls if at least one is a girl is 1 in 3. Now we get weird and unintuitive. What’s the probability that both kids are girls if one of them is a girl named Florida? Such a weird question. But let’s see how it changes things, and look at all the options. We need to consider two kinds of girls now, along with the boys: Girls Named Florida (GF) and Girls Not Named Florida (GN). But we know at least one is a Girl Named Florida. So we can eliminate a bunch..
Those are all the options. So, amazingly, if we know there’s a Girl named Florida in the family, the odds that both kids are girls is now only 1 in 2! Problems where knowledge of conditions affect an event are usually dealt with using Bayesian Analysis, which, just like the problems above, is a really weird approach. But if we can get past the weirdness and realize the power of both randomness and information in probability, we acquire a lot more power with which to view the world. Hopefully I haven’t overloaded you yet, and hopefully it’s not boring. Math done right really is exciting. There’s still a huge propensity these days for people to dismiss math above a certain level of complexity. I think this is another unfortunate outcome of the staid math curriculum still taught today. Math above a certain level isn’t perceived as useful - hardly anyone uses trigonometry or calculus in their job - and so it’s largely dismissed. You mentioned you like to spend time with a math professor friend tinkering with new mathematical methods and ideas, just for fun. Really? More people need this tool box. And theologians need this tool box particularly. Back to that. Religion has some significant problems in today’s world. It risks being driven towards the sidelines of culture, while simultaneously alienating swathes of the masses. Math is not a panacea for all of that, but it’s worth considering some ways that math can help. Math makes you think differently. It widens your understanding of what is possible and forces you to weigh and analyze highly abstract concepts. If you skipped over some of the examples above (I get it, this is long), go dig a bit more maybe, follow some more links, and see if you can understand at least one of them a bit more deeply. I’ve found that people that have studied math tend to have more care in how they phrase things. They may still use flowery language, but they’ll be sure that the metaphor or analogue fits precisely. The same is true with numbers. I can’t tell you how many times I’ve stopped myself from saying something like “an infinite amount” to ask whether I really mean infinity or just “a lot”. Almost surely, I mean “a lot”. John McCarthy - a brilliant mathematician - said that “language is froth on the surface of thought.” That brilliant phrase provides exactly what I mean while also serving as a wonderful example of the same. Language is froth on the surface of thought. Our own minds are wild, unruly places. We all have whole jungles in there, but we can also construct elaborate and beautiful crystal palaces of thought worth sharing with others. Language is the primary tool we have to get those thoughts out. If we can’t speak or write what we’re thinking with precision, the crystal palaces you build up there are basically worthless. Language is the medium by which we express our ideas. we are referencing a very specific idea. When anyone who knows the language of math sees this, they know precisely the idea that is being described. Math is the most precise language ever invented. It’s valuable for anyone to learn this language, but it’s particularly valuable for theologians. For most people, religion and theology are on the other side of the spectrum; they’re subjects full of feeling and emotions, allegory and metaphor, ambiguity and opinions. Because of this, it can be natural for people to move towards an idea called relativism: the idea that absolute truth doesn’t exist. You’ll often hear things like “This is true for me and so I believe it” or “What’s right for you might not be right for me.” And yet, religion and the search for the divine is a search for absolute truth. St. Thomas Aquinas did not try to reduce any of the philosophy he learned. Instead, he took Aristotelean logic and applied it to theology with precision. I’ve also been listening lately to some of the lectures of Jordan Peterson. Peterson is a clinical psychologist who dives into many of the Biblical stories from the perspective of human psychology. (He’s also been surrounded with some controversy over the subject of free speech; controversy that seems completely ill-founded.) He’s a fantastic modern example of the type of precision we all need in our language. He works very hard to say exactly what he means - an effort, depending on his audience, that is lost - and to break down questions and pursue the goal of truth. I was enthused recently to hear Bishop Robert Barron speak very highly of Peterson and of his method of approaching study of the Bible. Bishop Barron went so far to say that his ability to derive interest in a reading of the Bible - his lectures and talks have hundreds of thousands or millions of views on YouTube - shows a lack in the Church’s current ability to do the same. And speaking of the Bible and it’s beautiful stories, here’s another place I think math can help. There continues to be a strong streak of fundamentalism in both Christianity and Islam today, which I find heartbreaking. Why heartbreaking? Because fundamentalism is so often not actually about beliefs and faith. It becomes about power, authority and identity. People end up believing more in the fact that they’re right than they do in their original beliefs. They become impossible to debate because they aren’t actually on a search for the truth, they’re on a search for power. They end up following powerful ministers that create what can only be described as cults of personality. John Oliver documents some of these in hilarious and frightening fashion. A God-of-the-gaps argument to give people some level of meaning in the world. I’m not suggesting that teaching a bunch of fundamentalists math will suddenly make them a bit more open to thought. They’ve already been inculcated in a system of belief, and once that happens it’s really hard to undo it. Rather, I think it can be dealt with generationally. Math fixes the God-of-the-gaps arguments by a sort of meta proof by induction. There will always be gaps in our knowledge. Always. Some people’s tolerance and desire for complete meaning in the world is higher than others. But math is very strictly a search for truth. By showing that you can fill in some of these gaps, you help show people the difference between the unknowable absolutes and the things we haven’t figured out yet. That’s a simple but powerful lesson to learn. Strikingly, it’s the difference between searching for truth and searching for power. What’s The Complement To Intimacy? For the religious already on an honest search for truth, math can help inform another problem. The religious journey is, in many ways, a journey inward. Christianity in particular focuses on a personal encounter with Jesus Christ. And the belief that he is divine creates the possibility of an extraordinarily intimate encounter with God. My favorite example of this level of intimacy is St. Therese of Liseux’s Way of the Little Flower. The little way is small. It does not promote great and powerful deeds. It does not dare seek perfection. It only tries to toil in a small way for God; it’s often compared to a spiritual childhood. This focus on intimacy, compassion, love, and personal encounters is rightly central to Christianity. We should focus on the people that are right in front of us. We should focus on the poor. We should focus on proper order and uprightness in our own lives. But there’s a complement to this focus that is rarely, if ever, talked about in Christianity. Individuals in today’s world can have larger effects and interact directly with more people than ever before. How do we love, in aggregate? What can we do to ensure our larger actions do good rather than harm? How do we love, in aggregate? I tried to write about this before, talking about scientist saints. I think a better name for that essay would’ve been economist saints. We need to be able to think about doing good in aggregate and to measure it. We need to learn and understand more about the consequences of actions taken. This is almost impossibly hard. Almost. The problem space of unintended consequences is certainly very large. But it’s also the most worthwhile of endeavors, and the incredible potential of negative unintended consequences makes it critical to learn more about. It is also absolutely certain that math underpins the entire enterprise. In 2013, the United Nations published an update to their Millennium Development Goals. Their first goal was to halve global extreme poverty by 2015. This was achieved two years ahead of schedule. I don’t think the UN actually did that much to bring this about, it just sort of happened. It was natural fallout from the dizzying progress of the last few decades. If we can halve extreme poverty in today’s world in 15 years without really trying, what can we do with a measurement feedback loop? Probabilities, populations, and trends aren’t often the topic of religious conversation or direction. But there’s a lot of good to be done in the world with this line of thinking. And if you’re scared by the possibilities, good. There’s also a huge amount of bad that can be done, with intent and without. Kierkegaard said that “Anxiety is the dizziness of freedom.” We have a truly epochal amount of freedom, ability, and knowledge in the 21st century. We need better systems to use it for good. Math can help. And this trend is only increasing in speed. The world is getting more scientific and reliant on ever more complex technology. All built with varying degrees of math. The world is trending more scientific. The public is following along. I already mentioned one primary danger: Scientism. But for religion, there’s an entirely different danger: credibility. Here’s two graphs to show the problem. The first describes the correlation between intelligence scores and religiosity, which also has a nice Wikipedia page with lots of citations. This one’s worse. This one describes how positively you feel towards religion in general. The trend with more education isn’t great. The educated elite is highly skeptical of any religious position. They consider it backwards and parochial. If theologians want a place in the conversation, they need to be able to keep up. This doesn’t mean embracing the philosophies of the modern world, which can be just as broken as ever, but it does mean understanding the context in which people live today. There’s still a place for the monastics who live separate from the world to contemplate God. There’s still a place for the Franciscans who own nothing and live on charity. But we need to be able to understand those perspectives and why they’re good and important. We can’t do that based on a 15th century world. The world has grown and will continue to grow. We need to focus on their place and importance in a 21st century world and beyond, as it continues to grow. We need to recognize their timeless quality and show how it’s applicable in any time in any place. The debates around science and religion still happen all the time today. But they usually still focus on events like Galileo. We still need to have these conversations, but we need to have it around modern science and math and modern religion. We should focus on things like the theory of Stellar Nucleosynthesis I mentioned earlier. Or perhaps the Big Bang Theory - conceived by the Catholic priest Georges Lemaitre and his dialogue with Pope Pius XII. Theologians today need math. We need new sources of beauty and wonder. It’s not that the old visions of wonder don’t work anymore, it’s that our world has grown. It’s bigger and more complex. We know more and we have more tools for understanding. We can manipulate matter at the level of atoms and molecules and we can see into space as far as it’s physically possible to see. The balance between providing beauty and wonder without relying on it as a God-of-the-gaps argument is critical. Math pushes the boundaries of our world ever outward, and so reinforces that balance by confounding us with unintuitive truths. People don’t usually lose their faith because they’ve slogged through 600-page books by Protestant fundamentalists, or even by Richard McBrien. Many more just slip-slide away after watching a hundred monologues by George Carlin or Ricky Gervais that make the Church seem silly. Not false — calling the Church’s teachings false raises the squirmy question of Truth, which Screwtape rightly warned his tempters to stay away from. Just silly. We need to be continually concerned with the silly and the convenient in today’s world. We need to continually search for Truth. We need to be able to focus and distinguish between the numinous and the supernatural. We need to continually be inspired and believe in the wondrous. There are no greater tools in the world for conceiving of some truths and wonders than math. The two examples of Infinity and Decidability I provided align much more closely to wonder. They are inherently beautiful, amazing results. The probability and Universal Turing Machine examples map to truth, and perhaps end up more interesting. They are unintuitive, paradoxical, and, most importantly, far-reaching truths. They have so many consequences that we’re still only scratching the surface. Combining imaginary numbers, the natural log e, pi, 1 and 0. How is that even possible? The created world is an amazing and mysterious place. Imagination does not breed insanity. Exactly what does breed insanity is reason. Poets do not go mad; but chess-players do. Mathematicians go mad, and cashiers; but creative artists very seldom. I am not, as will be seen, in any sense attacking logic: I only say that this danger does lie in logic, not in imagination. I don’t think he’s giving enough credit to creatives and their mental burdens, and in the modern world there’s a strong history of alcoholic, addicted, depressed and suicidal artists, writers, and creatives. But he’s right about the burden of reason. The demands of precision are inestimable and we can’t hope to understand everything. The world, the whole world - “everything that is the case” - is constructed on top of reason. If we have the faith to accept that our thoughts correlate to reality (another point of Chesterton’s), then one of the most important ways to understand the Absolute, the Divine, the Creator, or God, is to ponder the beauty and truth of the foundational constructs of our world. Many of those constructs are math. In the beginning was the Word: the Word was with God and the Word was God. He was with God in the beginning. Through him all things came into being, not one thing came into being except through him. The Greek word that maps to this vision of Christ is Logos - meaning “word, discourse, or reason”. The Logos brought all things into being. Math, in this sense, has a stunning theological component. We need to explore it more. (1) You can’t explore the divine without forming ideas. (2) You can’t form ideas without language. (3) All language is imprecise except for Math.